On Monday the 13th of February in 2012 I sat down at the kitchen table and bashed out a post for my blog Relentless. I was about a week short of giving birth to my third child, and it was a tongue in cheek comparison between the first, second and third pregnancies. Much of it was based on experience, some of it was – shall we say – writer’s liberties. ‘The Brutal Truth About the Third Child’ quickly become my most popular post. By mid afternoon it had been read 4,500 times, by bedtime on Tuesday it reached 10,000 views. Within a month it had been read around 25,000 times. 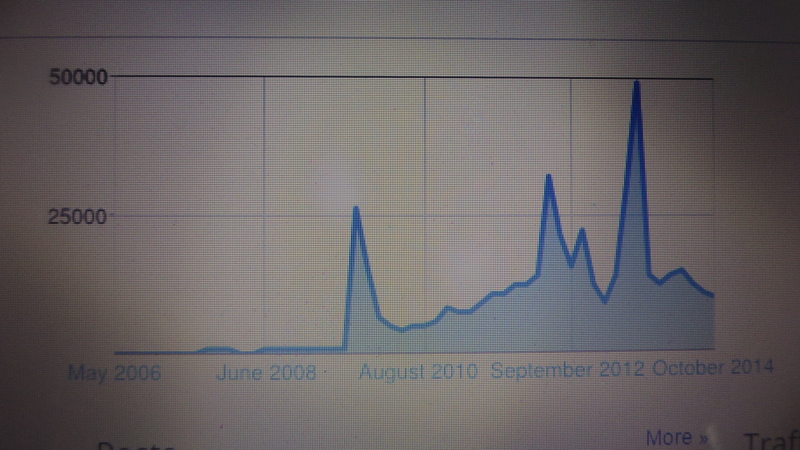 Two years on it has been read on my blog a quarter of a million times. But these numbers are relatively small, and it was only when other websites asked to republish the post (and I allowed only three other sites to do so) that the numbers went viral. When the post was republished on ScaryMommy, a hugely popular and very funny site in the US, it was shared over a million times in the first five days. ScaryMommy founder Jill Smokler said she’d never seen anything like it. I’d like to think I could match its success, but in the years since I have tried and failed. But something resonated with readers, so today I am going to pick apart the anatomy of ‘The Brutal Truth’ and list the seven key essentials for writing a viral blog post. Unless they’re your mum, most people won’t read a blog post simply because you’ve written it. You’ve got to give them a reason to click, and by this I mean a killer title. For some reason, negative headlines seem to be more popular than positive ones. Therefore while my choice of the word ‘brutal’ was dumb luck at the time, I realise now it was inspired dumb luck. Everyone wants to read horrifying things, they want to be shocked. If I had called it ‘The Exciting Truth About the Third Child’ or ‘The Inspiring Truth About the Third Child’ no one would have bothered reading. A great headline might make people click, but unless what you have written is gripping and well paced, people won’t read to the end, and they sure as hell won’t share. Shares are what makes a post go viral, and it also makes it almost impossible to track. A few months after I published ‘The Brutal Truth’ a friend sent me an email she said had been making the rounds. It was really funny and she thought I’d like it, since I now had three kids. I scrolled down and sure enough, there was my post. It had been cut and paste into the body of an email and was being forwarded. Unfortunately there was no link to my blog nor any mention of who wrote it. So many viral posts are lists of some form, and this is apparent in the title. Seven Reasons Why Cat People are Better than Dog People. Nine Things You Can Learn from Your Fetus. Five Things Only a Pregnant Woman Will Understand. (Feel free to use any of those titles and write your own viral post, by the way). Lists are popular for a number of reasons. We are all lazy readers these days and the way we read text on a screen is different to how we read hard copy, and we are much more like to scan and skim read. Lists make it easy to do this. It increases the amount of white space on the screen, making it easier on the eye. And for some reason, odd numbers have a bigger impact than even numbers. It’s true – have a look at the next ‘list’ post that comes your way. The blog has to be written, titled and marketed in a way that makes readers feel that if they don’t read it, they will be missing out. No one likes being the person who hasn’t heard of the hottest new trend, so you need to create the desire for people to click. Sometimes this is by writing about a controversial topic, or giving an ordinary topic a controversial spin. You should never tell a reader what to think in the title (eg don’t say ‘ten things you must know about packing school lunches’ but say ‘ten things you should know about packing school lunches’). It should make them desperate to read it. Like you all now want to read about school lunches. It should be obvious, but if you’re going to use a really dramatic, negative, punchy and urgent headline, make sure the blog post is actually about that topic. Don’t use controversy to attract readers and then waffle on about your cat. That really pisses people off. Everyone is a writer these days. All you need is a computer and an internet connection, and away you go. There is a lot of great content out there, but also a lot of crap, and it makes it a lot harder to be noticed when there is something like half a billion blogs in existence and more being published every day. How can you stand out in such a noisy crowd, when we are all shrieking ‘look at me, look at me’? You need to find your niche and you should work with what you have. I am a mother of three now. 90% of the random traffic to Relentless are people who have googled topics to do with having three kids. Should they have three kids? How to tell their husband they’re pregnant with number three. How to cope with three kids. That’s what people want to read, and I’m fine with that. Sob. The brutal truth though, is that you can’t actually write a viral post. There are no ‘rules’ or guarantees, otherwise we’d all be doing it, all the time. And I’d be very rich because I would put advertising on my site and cash in on my own success. Readers are a fickle lot, one day they want to read about grumpy cats and the next day they want awkward pictures. My advice: keep writing if that’s what you love. And maybe one day, you’ll get lucky.